On the show tonight are football legends Jason McAteer, John Aldridge, Youtuber Riyadh Khalaf, and music from Damien Dempsey. Cancel your plans. 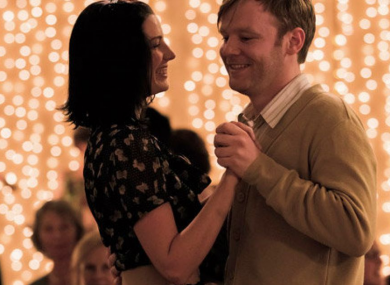 A lovely fuzzy rom-com starring Brian Gleeson as a man who has fallen on hard times and takes a job working at a tourist information desk at Dublin airport. During his duties, he’s unexpectedly reunited with his first love who is waiting on a plane home to New York. You know what happens next. If we can’t have the Irish version, the British one will have to do. This week, the Goggleboxers and viewing The Dirt, Catchpoint, Race Across the World, This Morning, and Married at First Sight. Training Day (Virgin Media One, 9pm) Denzel Washington and Ethan Hawke star as cops on the narcotics beat. Masterchef (BBC 1, 9pm) Prepare to get hungry. Sliding Doors (BBC 1, 10.35pm) Goopy Gwyneth stars in this movie about the changes that would be caused by catching a London train or missing it. Frankie Boyle’s New World Order (BBC 2, 10pm) For people who use the word ‘snowflakes’ and get offended by people getting offended. The Last Leg (Channel 4, 10pm) Aisling Bea and Stacey Dooley join the panel tonight. Thronecast Gameshow of Thrones (Sky One, 10pm) Calling all GoT fans, Sue Perkins has a star-studded quiz for you ahead of the new series. Email “What to watch on TV tonight: Friday ”. Feedback on “What to watch on TV tonight: Friday ”.